All honey will eventually crystallize (there's only a few in the world that won't) - raw honey will crystallize quicker. What does crystallization mean? It means that honey turns from a liquid state to a solid state. If you place the honey in a refrigerator it will turn solid from the cold. Always store your honey at room temperature! So by the fact that honey by its very nature is different each and every year due to the different floral sources, the amounts of fructose, glucose, sucrose, and different aromatic compounds present that give the flavors and aromas of honey. But what I think you would like to know is what initiates the crystallization, and that is nucleation sites and temperature. Crystallization has to do with the organization of these molecules in the honey. Lower temperatures help to slow the movement of the molecules and get them lined up, but if you go even lower in temperature they don't move at all. And because of the different sugars contained in honey, some organize more rapidly, some more slowly. That is due to the differing functionalities on these molecules. 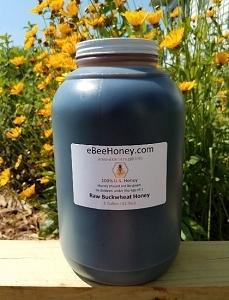 But in general raw honey does crystallize faster because it has more of the nucleation sites, which merely means there are more particles in the honey to start the process. Each variety of honey will crystallize at different rates. 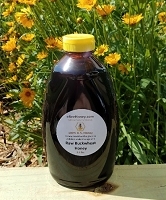 Some folks think that when their honey starts to turn cloudy and gets a bit thicker that the honey is no longer good. Quite the contrary, crystallized honey is delicious. If you wish to bring your honey back to a liquid state, simply place your honey in a warm water bath. Place your honey in a warm water bath using your crock pot turned on the "keep warm" setting. Make sure your lid is nice and tight since you don't want any moisture getting into your honey. Now keep an eye on it and your honey will return to a liquid state. Do not microwave your honey as this will break down some of the beneficial minerals in honey and microwaves heat way too hot. Another trick is to take your honey and place some honey into a glass container and set on the dash of your car for a few hours on a sunny day. Check on it every couple of hours and turn the bottle up and down to shake the crystals around. You'll start to see your honey reliquify for you. Now, creamed honey is a type of crystallized honey that has been processed using temperature controlled methods to bring about the creamy texture of the product. 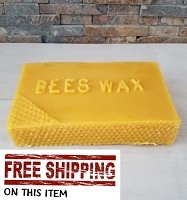 Creamed honey is made by blending one part finely granulated honey with nine parts liquid honey. The mixture is stored at about 57 degrees until it becomes firm and creamy like peanut butter. Creamed honey has a very smooth feeling against your tongue. Never throw out crystallized honey as it is still great to eat. If you use honey on toast, in your coffee or tea, you'll notice with heat the honey will reliquify before your eyes. We in fact, sell more honey that has crystallized than liquid honey. 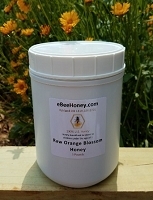 Many folks prefer honey that is crystallized as it's easier to use. Some honey will crystallize in a matter of days coming off the hive (raw goldenrod) while others (raw buckwheat) can take a few years to crystallized. It seems the darker the honey, the longer it takes to crystallize. 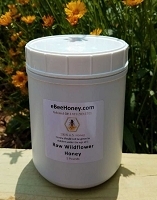 Sometimes we also offer both liquid and crystallized versions (raw wildflower). It all depends on the honey as we have no control when that happens with raw honey, it's the beauty of honey!